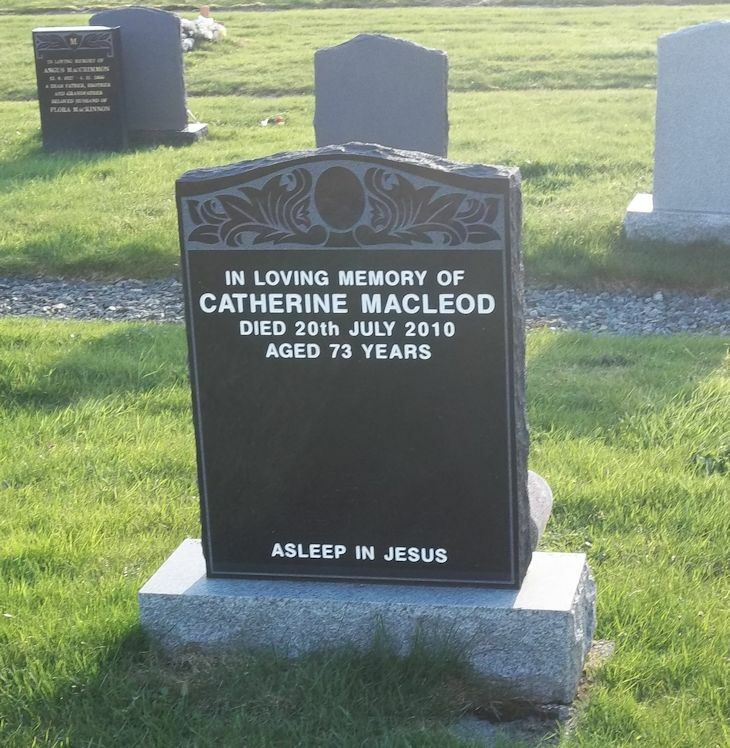 Skye Gravestones | Catherine Macleod. In loving memory of/CATHERINE MACLEOD/died 20th July 2010/aged 73 years. Picture Added on 23 May 2018.